IGT stands for International Game Technology. The company was established in 1981, and since that time it maintains its firm stand in the world of Internet gambling. 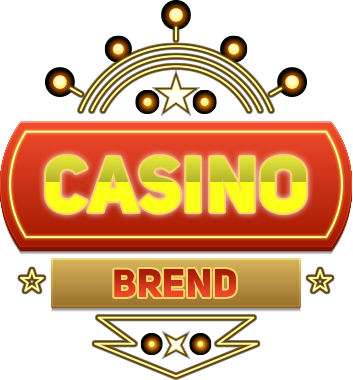 It is one of the biggest providers of casino-related products for operators from the United States, Europe, and Asia. IGT is involved in every stage of a software production, from the creation of the initial design to the release of the final product. The fact that a lot of globally recognised online casinos choose IGT as their main software provider speaks volumes about the quality of its work. IGT has done more than enough to obtain the reputation of a trusted business partner and consistent provider of superb casino games. All IGT-powered casinos feature a mode that allows instant access to the games from personal computers and portable gadgets. In 2014, a merger took place between GTECH and IGT that led to the creation of a new company which retained the name IGT in order to preserve the recognisability of the brand. IGT has created a lot of games with can be found almost in every casino on the Web. Among its greatest achievements are slots like Black Widow, Kitty Glitter, Cleopatra, and DaVinci Diamonds. Casinos which chose IGT as their provider of software offer players more than 80 games which are carefully translated into more than 15 languages. Such casinos also operate with over 30 currencies. IGT always puts a special emphasis on the design of its slots; that is why all games have sophisticated graphics, artful symbols, likable characters and spectacular effects. IGT software includes a great variety of titles which can satisfy the need of almost every respectable online casino. However, table games are not IGT’s strong suit, and there are many developers of such games who may claim the upper hand in this particular area. There are some decent titles like the 3 Wheel Roulette or Blackjack which present a certain amount of fun but they are certainly not as good as the rest of games by IGT. IGT has a good portfolio of games in the video poker category. It is responsible for creating more than 40 games, the most popular of which are Joker Poker, Bonus Poker Deluxe, Deuces Wild, and Jacks or Better. All video poker games developed by IGT have an intuitive interface, gorgeous graphics, and exciting features. Some say that the first video poker machines were created at IGT. There are many people who, for various reasons, do not like to download things from the Internet. For them, and for those who are constantly busy, IGT provides an option where they can have access to all games straight from the mobile gadgets which run on iOS or Android. The mode was developed with the use of HTML 5 which means that it is compatible with all known operating systems. There aren’t a lot of table games available in this particular mode: players only have access to Roulette and Blackjack, but this small downside is fairly compensated by the broad selection of slot games like Cats, Monopoly Dream Life, and Pixies of the Forest. The interface is very user-friendly and all games are perfectly adapted to the screens of mobile devices. Therefore, players can really appreciate the beautifully crafted graphics and sound effects of every game produced by IGT. There isn’t a player at an online casino who wouldn’t want to be protected from malicious activities by hackers or other criminals, and to be assured that playing process in nothing but fair and honest. IGT takes both of these aspects into serious consideration, thus trying to create comfortable gaming conditions. The Alderney Gaming Commission has issued licenses for all games produced by IGT, and it regulates all business activities of the company. Only the best and the fairest providers are able to obtain such license, which serves as a proof of IGT’s integrity. And in order to increase its own reliability, IGT employs an innovative encryption technology which makes its platform one of the most secure in the online gambling world. IGT also makes sure that its games can’t be corrupted in any way, and outcomes of the games always remain random. The IGT’s software goes through regular audits by independent companies like Technical System Testing. Players can rest assured that the random number generator used by IGT can’t be tampered in any way. Moreover, IGT does something extraordinary: it shows the real RTP of all games in the info menu. Over the years, IGT has won plenty of prestigious awards which is a definite proof that the company’s software is one of the best in the industry. IGT was recognised as the Best Slot Manufacturer by the International Gaming Awards (IGA). The year 2010 was the most fruitful for the company because it received 16 awards in the Best Gaming nomination which was presented by the Casino Player Magazine. And that is not all: IGT got 35 more prizes for its wonderful slots, while the jury at the 8th Annual Gaming and Technology Awards, which was held under the auspices of the Global Gaming Business Magazine, was more than generous in their praise of IGT’s great work.